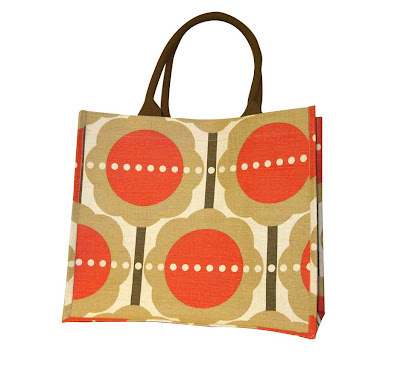 Whilst doing some shopping in my local Tesco's this evening, on the way to the checkout I noticed this lovely exclusive range of reusable bags designed by Orla Kiely. 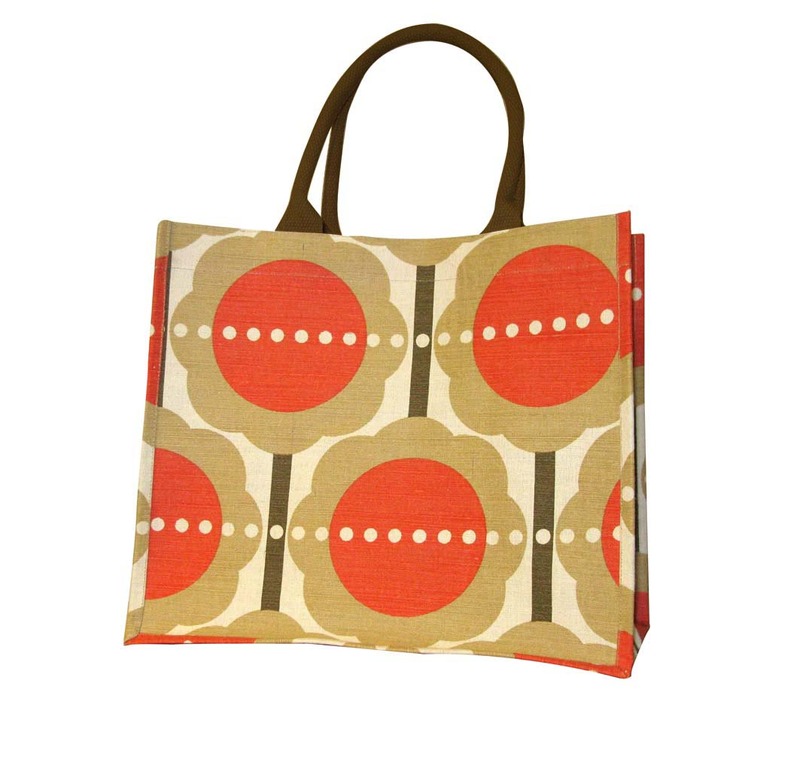 The first thing I noticed about them were the patterns-anyone who is aware of Orla Kiely knows these are so distinctive of her work. The bags are 'juco', which is a material technology that combines the strength and natural properties of jute with the finishing and texture of cotton fabric-in other words a tough, hardwearing and stylish reusable bag, ideal for your weekly shop, or as a general tote bag for work or at the weekends. The ﻿other great thing about the bag was the price-only £4!! My bottle of rose wine cost more! The limited edition bags were made to raise money for Tesco and Orla Kiely's chosen charities-CLIC Sargent and The Royal College of Art, with 50p from each bag sold going to the charities, the money divided equally to each charity. I believe these bags have been in-store for a few months now, but may not be in each and every store, so if you do see them I would snap them up-certainly one of my favourite designer and high street collaberations of this year!! Check out Greener Living from Tesco- you can pick up some great ideas and tips on being more greener and being aware of your environment. And black jackets are wonderful. I liked seeing the variety in your previous post and am glad you're "back"! I've had the blue one (from the Tescos local to school) a couple of months but I'd have much preferred the orange one which they didn't have! I was really happy when I saw them! Oooh, which Tescos did you get the orange one from? Barkingside, Barking?? Aren't they gorgeous! Love your one the best, hope my Tesco has them! Such pretty bags. Think the one you chose is my favourite. Superb! 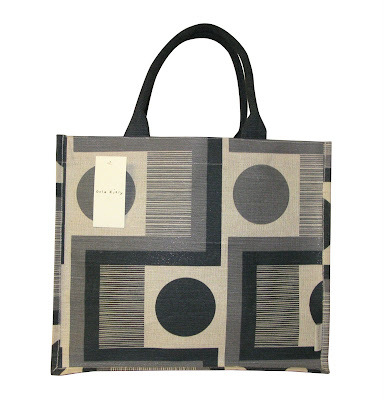 I love a 'bag for life' (useful for carrying books at work as well as shopping) especially if they have nice designs. 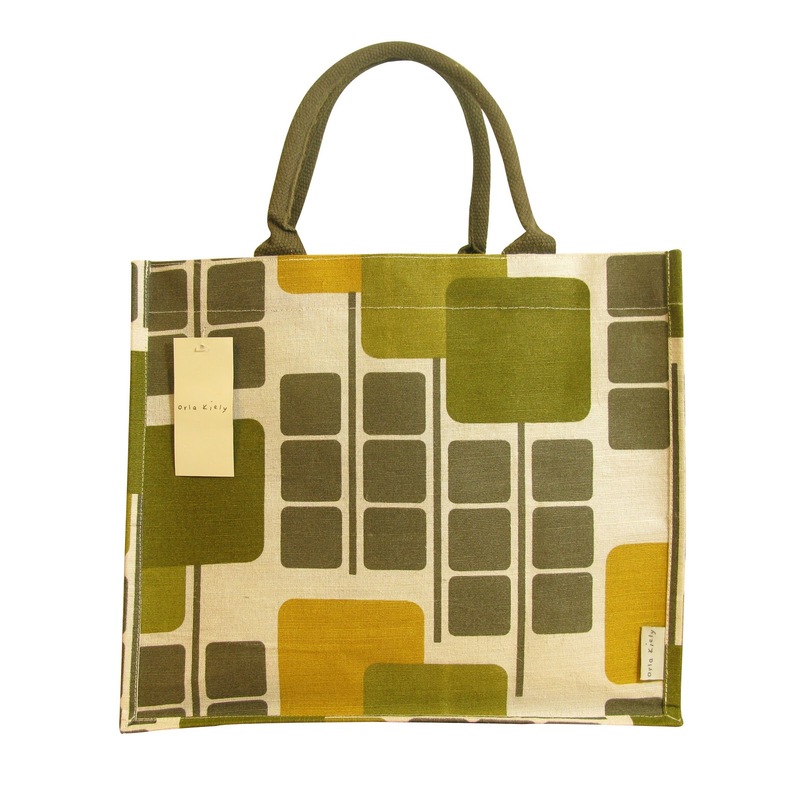 Have you seen the Orla Kiely tops in Uniqlo? I bought a vest- good value (£14) and lovely designs. Long time no talk, I hope all is fine with you. That's some great bags you're sharing. Hi everyone-thanks so much for visitng with your lovely comments, so much appreciated! !